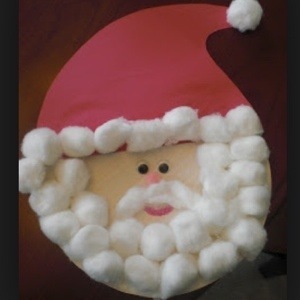 The children in my program will not be making Santa Claus beards out of cotton balls or reindeer out of pom poms. There will be no pretzel menorahs or clay dreidels. Unless of course, they come up with these projects on their own (although I value the process more than the product but I’ll save that discussion for another time). No, I’m not a Scrooge, and I celebrate Christmas with my family. But I believe children need their childcare program to continue to be consistent. Children (and adults) can become overwhelmed by all of the holiday hustle and bustle easily. Instead of contributing to the excitement, anticipation, and stress of the holiday season, I provide a consistent routine with predictable expectations for children. Our curriculum will follow the interests of the children, so if they decide to make a holiday decoration or discuss their holiday traditions, they can. But you’ll find activities related to their interests and routines more than anything else. Please consider all of the holidays throughout the year and the impact they have on your classroom. Many times, you will find the anticipation and stress evident in your children’s behavior. And while there is much to be learned from valuing the traditions of others, it can be done in a way that is naturally inspired by the children.